Police agencies will usually issue a press release the day the checkpoint is scheduled to occur, listing the location and hours of operation. If you are driving and come to a traffic checkpoint, you are required to slow down and follow the flow of traffic to a police or CHP officer who will ask to see your driver license. If there are no issues, the officer will let you move on. If there are problems with your driver license or signs of intoxication, you will be told to pull your vehicle over to the side of the road. More often than not, a DUI investigation will begin with an officer observing an alleged Vehicle Code violation. An officer may indicate that he observed you speeding or weaving or some other alleged violation. It is important to note that not all weaving amounts to a reasonable suspicion and that not all alleged violations result in a legal traffic stop. 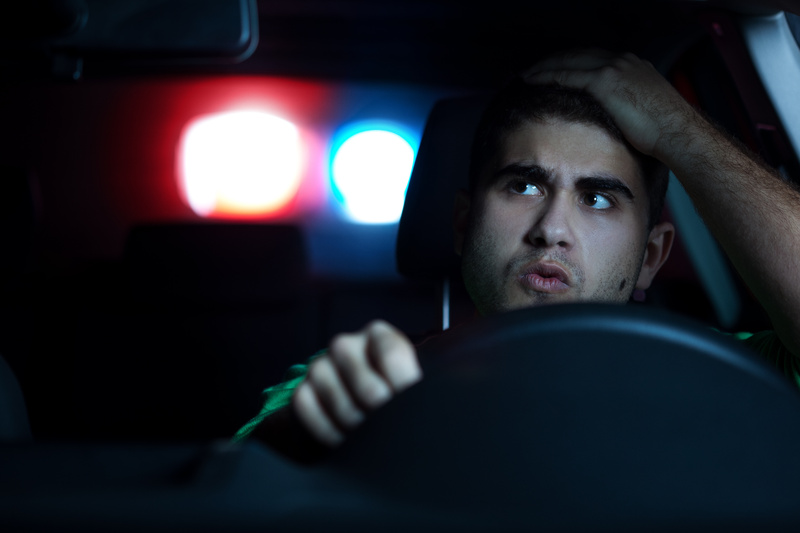 In general, for an officer to pull a driver over to begin a DUI investigation, he must have a reasonable suspicion that the driver or occupants of the vehicle are involved in some sort of criminal activity. Further, many patrol cars are now equipped with dashboard cameras that a criminal lawyer can access. If you question the officer’s observations, your lawyer can access those records for review. Once the stop is made, if the officer notes signs of alcohol use, he will likely ask if you have been drinking. It’s important to be aware that anything you say at this point will likely be used against you. The officer will then ask you to get out of the car to complete a series of field sobriety tests (FSTs). Officers are trained to look for certain “clues” that indicate whether you are under the influence of alcohol or drugs. The tests are designed to determine whether your ability to complete multiple tasks at one time is impaired. After the FSTs, the officer may ask you to provide a preliminary breath sample. You are not required to provide this sample. However, if you do provide the sample and it registers .08 or higher you will very likely be arrested. Whether you are arrested at a checkpoint or traffic stop, a DUI arrest can be a traumatic, overwhelming experience. Though each case is different, you will probably have to contend with the following factors. If you are arrested, you will be transported to the local county jail, where you will be required to provide an evidentiary sample. In general, the officer must give you a choice of a breath test or a blood test. After these tests have been completed and other information gathered, you will likely be held until your blood alcohol level drops well below .08. Most, but not all, counties will then release you on a promise to appear in court on an assigned date. Some counties may require that you post a bond prior to your release. This is more likely to happen if you have prior DUIs, if you were involved in an accident, or if you have other charges in addition to the DUI. If you or someone you know has been arrested for a DUI, please contact me for a free, confidential consultation at (530) 823-5400.